Shri Abhishek Manu Singhvi said we remember with deep affection and nostalgia the youthful Prime Minister Rajiv Gandhi whose death anniversary falls today. He has been and is and will continue for all times to be a symbol of youthful energy and zest, a symbol of path breaking technology being imbibed and absorbed in the day to day life of Indians whether it is telecom or whether it is computers and an approach which heralded a generation of transparency. A brave Prime Minister who laid down his life in the cause of the nation, we respectfully remember him and place on record our ‘Sharadhanjalee’. We wish the new government and the new Prime Minister-designate all the best. We believe that a genuine real good is done if words and promises are translated into action, then it is the real good of India that we celebrate and that is why we place on record our good wishes. We are also happy to note as a party and as a party in government in the previous government that the Prime Minister-designate in his address has recognized that some or more than some good deeds, good policies, good schemes, good decisions, good initiatives have been taken by the previous government or by previous governments. It is important that good governance of the country has continuity, a continuity which transcends political differences and political parties and therefore, we take note of the statement in his speech yesterday. We also hope and trust and we want to make it clear and place on record that in the light of that spirit, in the light of that sentiment which I have just mentioned, several path breaking good schemes and initiatives by the UPA-I and II, several inclusive or right based schemes and I am not naming them, will be neither close or in any manner signiﬁcantly in any manner curtailed. We, of course, hope and must insist that such good words must be followed by solid good deeds by measurable objective standards and certainly we and the nation are there and will be there each day of our opposition years to seek accountability constructively and to seek a report card constructively. In conclusion, as I said, we will again place on record our deep appreciation for all those over ten crore who stood by the Congress and we will strive and work towards improvement at every stage. 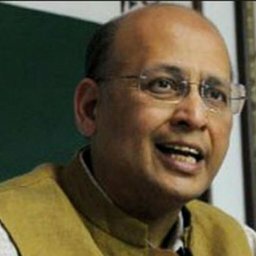 On the question whether the Congress party welcomes the decision of Mr. Modi to invite all heads of SAARC countries, Shri Singhvi said there is no question of not welcoming it. These are the Prime Minister’s prerogatives and certainly we are not here to interfere with the prerogatives of the Prime Minister. It is a part of governance as I said it is early days yet we wish well for something good happens. We will be very happy. Shri Singhvi also said that elections are over, if I am asking them to be constructive, certainly I have taken the ﬁrst step and there is no question. It is the Prime Ministerial prerogative if to call, when to call, how to call not only the Heads of State of world but any other Member of the world. It is part of governance mechanism and unless and until we ﬁnd some inherent negativity in anything, we are certainly there to look upon on it constructively and to support such initiative provided good of India suits. To a question as to what will be role of Smt. Sonia Gandhi and Shri Rahul Gandhi, Shri Singhvi said rest assured as and when any information is available that will be shared with the media but today the Congress party is ready to play a constructive role of the opposition. On the question of the reaction of the Congress party on the report that Mr. Arwind Kejriwal has been sent to Jail for two days by then Hon’ble Supreme Court in the defamation case ﬁled by Mr. Nitin Gadkari, Shri Singhvi said I have nothing to say on a judicial legal process. It is between Mr. Gadkari, Mr. Kejriwal and the courts. The Congress party has no occasion to comment but let me make one thing absolutely clear as far as Delhi is concerned that our stand has been the same consistent, in fact, we are the only party which has maintained a consistent stand. I draw your attention to a fact that few weeks before the present elections, the AAP has speciﬁcally and formally on an afﬁdavit in the Supreme Court proceedings, not once but repeatedly on several dates argued that there should be instant dissolution and election. At that time in the Apex Court, the BJP argued the opposite. Till yesterday we had a complete reversal of the roles with the AAP wanting a deferment and the BJP wanting polls. Today I believe there is third volte face in the morning where apparently Mr. Kejriwal is suggesting that there should be polls. It is very difﬁcult to rely upon such summersaults. In any case our stand remains the same that we will not support the AAP. We believe that the AAP has deserted Delhi during a critical time. We believe that they have affected gravely good governance and they have dashed the hopes and aspirations of the people of Delhi. Therefore, our stand is the only consistent stand. To another question on the CPP meeting in relation to the CWC meet, Shri Singhvi said rest assured that where the CWC has met, the CPP will also meet. You rest assured that you will come to know of the date and you rest assured that there will be all the relevant persons entitled and necessary to do relevant roles in the due discharge of our role as an opposition will be done. 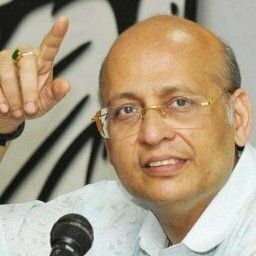 On the question of the further reaction of the Congress party that during the last week there have many transfers and posting in the Finance Ministry, Shri Singhvi said I do not think that party should comment on it. I would like to draw your attention to a formal statement issued by the Finance Ministry where it has been made clear that every year during this part of the year, there have been transfers. It is a routine process. 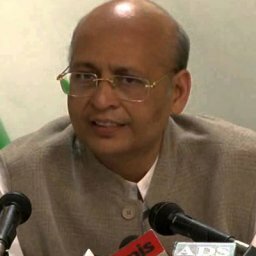 To another question on the PMO’s twitter handle which has been consigned to the Archive which has been described as unlawful by the BJP, Shri Singhvi said let me make it clear ﬁrstly that as a party we have a limited role to comment on this – both the PMO and Twitter India are taking care of it. They have both issued statements and there is nothing for me to add or subtract. Secondly, I would say and remind you that this is the ﬁrst time post twitter age that a transition has occurred from an outgoing to incoming Prime Minister. It appears to be a storm in the tea cup for the simple reason that all the actions show that contrary to the allegation all that has been nationalized as archival state property, there is no question of private property. The rest is a matter of practice and precedent which has to start with this time because this is the ﬁrst time that outgoing PM in twitter era is handing over to an incoming PM but the Twitter India and the PMO are fully competent to deal with this question on the subject. To another question on the statement of Shri Mohan Prakash in connection with the recently concluded to the elections related to the defeat of the Congress party, Shri Singhvi said I have no knowledge of such a statement. I don’t speculate, please show me the statement. To another question on the statement of Shri Shanker Singh Vaghela demanding from Mr. Modi in Gujarat that since the BJP has got the absolute majority, they should build the Ram Mandir, Shri Singhvi said that you know very well that the stand of the Congress Party on Ram Mandir is there and that stand cannot change. There is a resolution of CWC on the subject and there is no shift from our stand. Secondly, I don’t have any knowledge of Shri Vaghela’s statement because every TV channel is showing the same as per their suitability. As per our information on the subject, Mr. Vaghela was speaking in some other context.